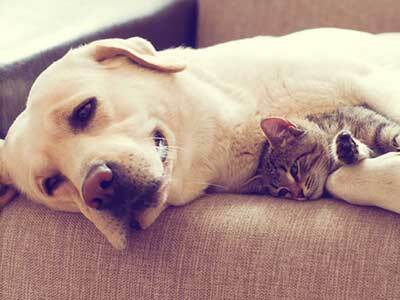 There are many differences between cats and dogs, but self-reliance is a key distinction between our two favorite house pets. While dogs need humans for survival, cats are able to almost completely care for themselves and can reproduce in much greater numbers. 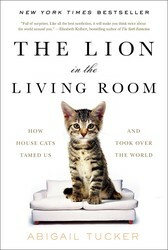 Read more about cats’ hardiness in The Lion in the Living Room: How House Cats Tamed Us and Took Over the World. Roving dogs remain a problem in many cities in the developing world and sometimes behave as invasive predators—in 2006, twelve wild dogs were thought to be wiping out a population of rare Fijian ground frog, for instance. But it turns out that dogs, biologically reborn in human company and so intimately suited to our use, have a terrible time without us. It’s as though they’ve left the wild too far behind them, while cats keep a paw in both worlds, making them far more flexible and formidable invaders. Feral dogs, for one thing, are incompetent mothers. Puppies born on the street tend to die. Packs of street dogs are sustained through recruitment of new strays rather than through births. House cats, on the other hand, are doting mothers and unsurpassed breeders both in and outside of the human sphere. Females reach sexual maturity at six months of age and thereafter reproduce more like rabbits than tigers—a key ecological advantage that’s in part a function of their small size and their hyped-up reproductive cycles. Indeed, they can outbreed some species of wild rodent. (KLWR, we’re looking at you.) By one calculation, a pair of cats could produce 354,294 descendants in five years, if all survived. In real life, five cats introduced to forbidding Marion Island (permanently snowcapped and actively volcanic, it’s hardly a feline paradise) bore more than 2,000 surviving descendants within 25 years.